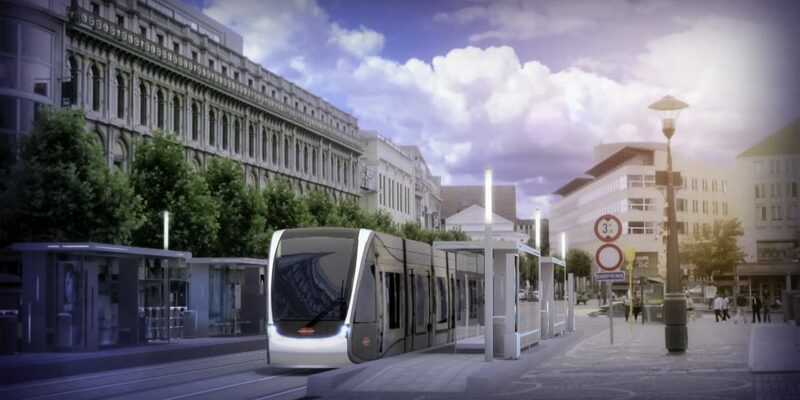 The Walloon Transport Operator has chosen the Tram’Ardent consortium as the preferred bidder for a public-private partnership (PPP) contract involving the design, financing, construction and maintenance of a tramway in Liège, Belgium. The contract with the consortium, which is comprised of Colas Projects, Colas Belgium, Colas Rail Belgium, CAF and the financial company DIF, is expected to be signed before the end of 2018. With a total length of 11.7km, 90 per cent of which is in a reserved lane section, the Liège tramway line will serve 21 stations and connect the Sclessin multimodal station (southwest of Liège) to the city of Herstal in the northeast via the high-speed railway station and Saint Lambert Square. A construction consortium comprising the Colas companies and CAF, led by Colas Projects, will be in charge of the design and build of the electrified rail network, the creation of a maintenance and storage centre, and the development of 240,000m² of surrounding urban space promoting soft mobility. CAF will supply the rolling stock as part of the consortium. A maintenance company also comprising the Colas companies and CAF will maintain the infrastructure and equipment throughout the duration of the contract. Delivery is scheduled for the second half of 2022.